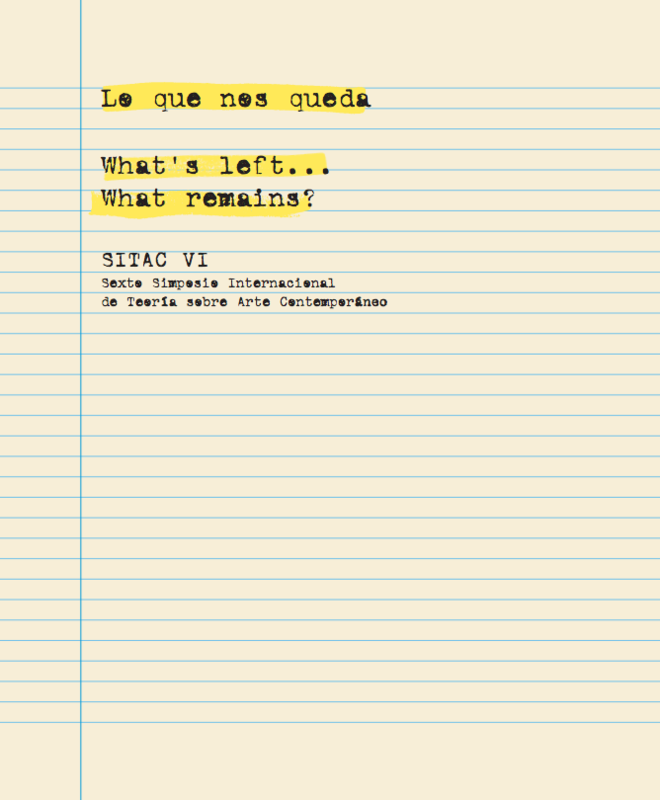 The sixth edition of SITAC establishes the ground to explore and discuss the role of institutions and cultural producers at a time in which public spaces are disappearing worldwide and government mandates are being transferred to the private sector. In the globalized art market, consumption is becoming more critical and important that the notion of agency disappears. What’s left? What remains?… Not only questions how neoliberalism affects cultures in different parts of the world but also wondering what is the student movement of 1968 and its impact on societies. Last but not least, SITAC reflects on what remains of Gramsci’s notion of the artist as an organic intellectual. 1. What's left... What remains? Introductory table by Ute Meta Bauer and lecture by David Harvey. Crisis and Convening: or, what is it that we want from art conferences?